The Burning Tower experience starts on arrival at SPID Theatre in Kensal Rise – one mile from Grenfell. Wooden chairs are arranged in a circle, as a community campaign meeting gets underway to discuss social housing. Teenagers Sarah and Em (Bianca Stephens and Alice Franziska) have done extensive research into the history of council estates. They want to save the 100 housing developments in London that are at risk of being closed down, bulldozed – probably to build luxury flats. The development of the two girls’ characters is superb, as is the performance of Hayley Carmichael as a mysterious, drunk older woman, who arrives late and works her way into the presentation. We discover that Em’s parents were able to buy their flat in the 1990s as Tony Blair pushed Margaret Thatcher’s right-to-buy scheme, but Sarah’s were unable to and as a result their lives have taken different turns. 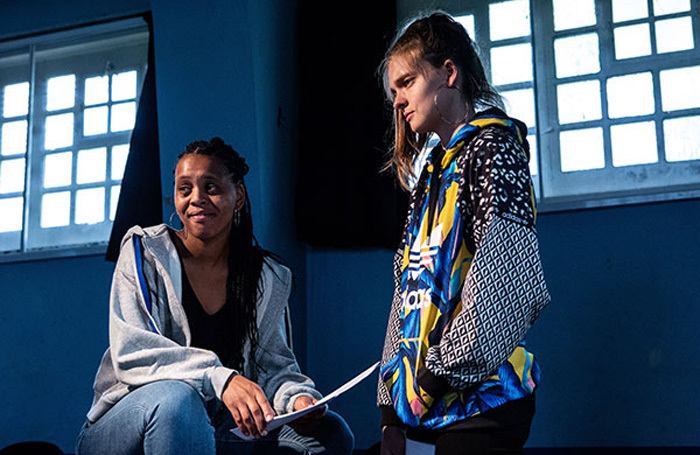 Friendship is a key theme in Helena Thompson’s play as the girls work through the pressures that lack of stability and the Grenfell fire have placed on their relationship. Similarly, mental health is explored as we discover Sarah carries a knife, not for protection, but self-harm. Audience participation is encouraged in Hannah Gittos’ production through the use of candles, cupcakes and notes of paper – the (mostly white, middle-class) audience obliges. The sound, set and lighting are all highly effective. The blackouts and power cuts are a reminder of worsening austerity. A recording of a reading of the names of the known Grenfell victims is incredibly moving and given necessary time and space. You leave feeling sad and hopeful, but wondering if there is an answer to all this, social housing might not be enough.